American Dj/pop duo The Chainsmokers, who recently notched up their second Australian top five chart smash with ‘Roses’, will visit Sydney early next month for a promotional visit. The duo (Andrew Taggart and Alex Pall) first broke through in 2014 with their single ‘#Selfie’, which hit No.3 on the ARIA singles chart, achieving a platinum certification in the process. ‘Roses’ replicated that success, hitting the top five earlier this year and, like its predecessor, earning itself a platinum accreditation for sales in excess of 70,000 copies. And they look like they’re about to do it all over again, with their just-released new single ‘Don’t Let Me Down’ (featuring the vocals of Daya), already making waves on both the local iTunes and mainstream charts. 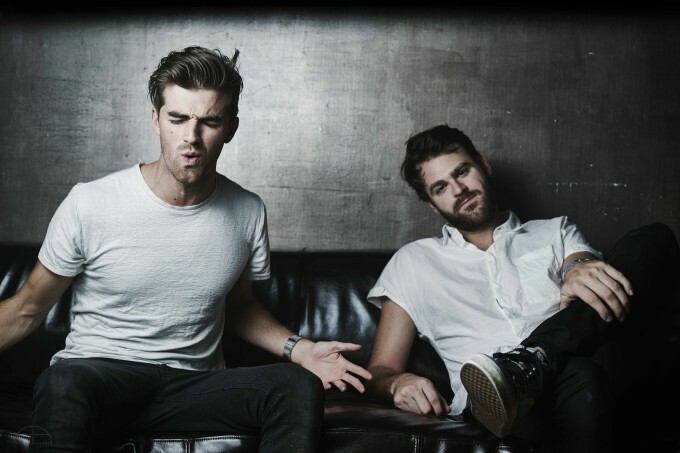 It’s in support of the new track that The Chainsmokers will make their way to Sydney only for three days of promotional activities, between Monday April 04 and Wednesday April 06. Where they’ll pop up at this stage is anybody’s guess, but we presume that one of the breakfast TV shows will be on the radar.